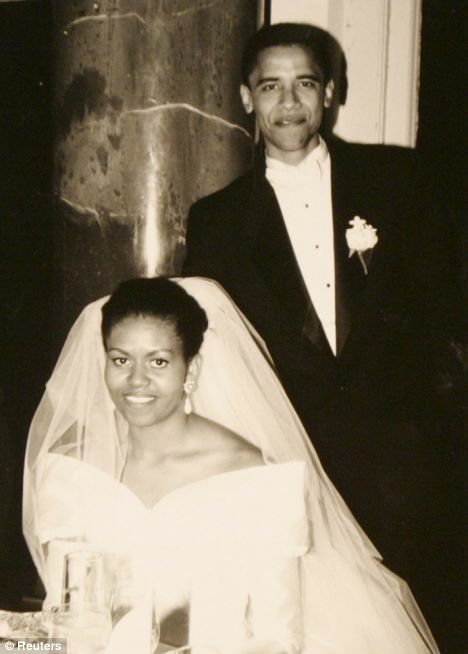 I was listening to conservative talk show host Hugh Hewitt discuss the swearing in ceremony of President Barack Obama when a caller likened the experience to being the father of the bride at a wedding where he never approved of the groom. And I honestly have to say that I could not think of a more appropriate analogy than the one this man had so cleverly offered. I am a black Republican, who also happens to be the father of a beautiful daughter. I know that one day (in the distant future) she will chose a man to be her husband; and like it or not, it is her choice, not mine. While I pray that she would choose a man whose morals and values are consistent with those we have tried to instill in both of our children, this choice is not mine to make. So what would happen if she chose to go a different direction? Would I be angry and refuse to attend the wedding? Would I go out of my way to undermine the engagement and actually try to stop the nuptials from taking place? Would I curse her, her husband and their impending marriage? Of course not! I love my daughter and want only the best for her. Although I may have well founded doubts about the partner she has chosen, I will pray that I am wrong. I will cling to the hope that my assessments are incorrect and that their future together will be blessed with joy and prosperity. This is because my desire to be right pales in comparison to the love I have for this most precious gift that is my only daughter. I did not choose Barack Obama to be my President. But the choice was not mine alone. And like my daughter, I love this country, because of the many blessings it has given me. I will not wish ill to my President because the fate of those I love are intertwined with his. The leadership he provides will have a profound affect on all of us. His success is our success. His failures are our failures. This is what marriage (matrimonial or political) are all about. While I reserve the right to maintain my skepticism and will stand at the ready to defend the ones I care about from this man whom I did not chose; I cannot ignore the significance of this day and the message that the election of the First black President sends about how far we have come as a nation. I must join in the celebration this historic day and root on my new President. I will support him as he does good and provide constructive criticism when he does wrong. But I will none-the-less give him this day and honor what it means to so many of my fellow Americans. We are an American family. And like it or not… Barack Obama is part of our family. So, I wish him all the best!